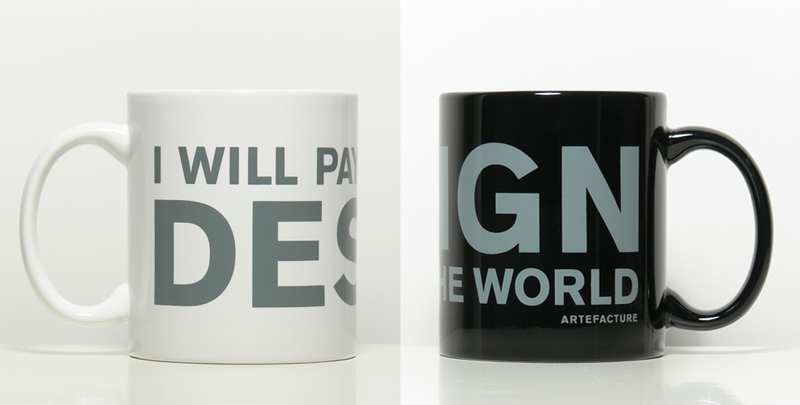 Our good friends over at Artefacture just came out with some sweet mugs sporting their famous sayings “I Will pay for Good Design” and “Design Will Save the World“. Grab a set and drink a cup of joe in style or be sure to pickup the shirts to let everyone know what kind of designer ya are! What a great installation in Tokyo! Wish I were there to experience it…as if I were inside a big snow globe! 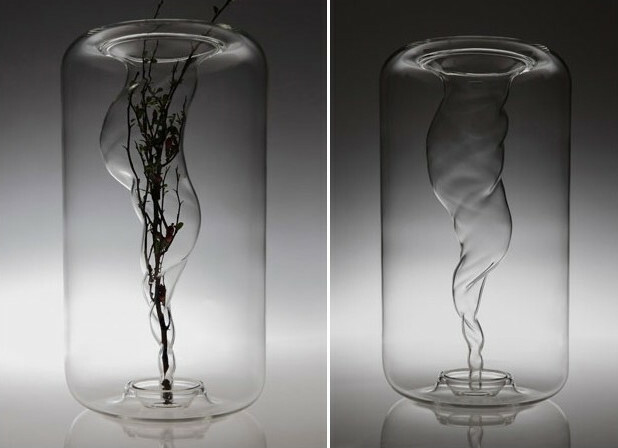 “‘sensing nature‘, an exhibition which rethinks the japanese perception of nature, has just opened at the mori art museum, tokyo with interpretations of the subject made by takashi kuribayashi, taro shinoda and tokujin yoshioka. 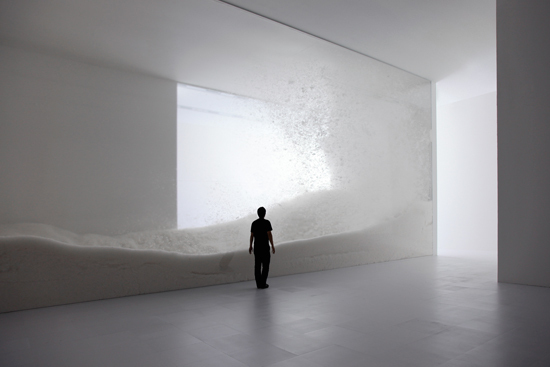 the three japanese artists / designers give abstract or symbolic expression to immaterial or amorphous concepts as well as natural phenomenon such as snow, water, wind, light, stars, mountains, waterfalls and forests. their ideas of nature suggest that it is not something that is to be contrasted with the human world, but that it is something that incorporates all life-forms, including human beings. the exhibition consists of newly commissioned works by each of the three artists, each attempting to stimulate our sense of nature through large-scale installations. Tarp Surfing video. Clever, creative. ha, I need to try! 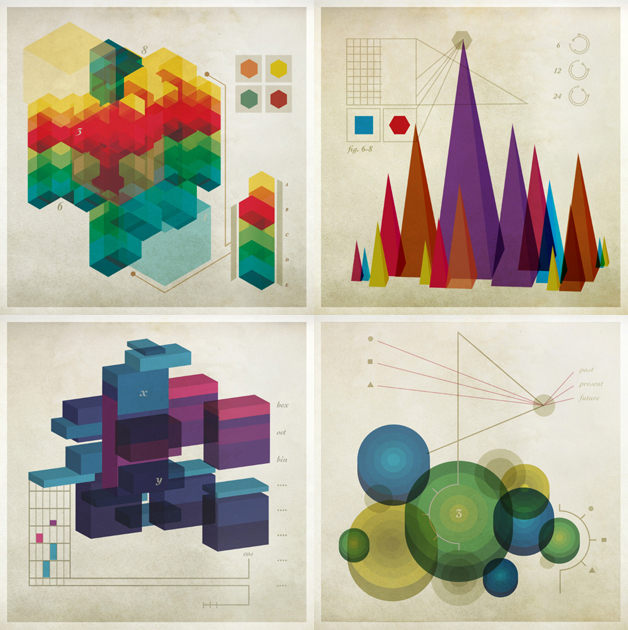 I’ve seen my share in infographics and just stumbled upon some awesome work by Chad Hagen. His posters take infographics back to their pure elements of print and a flare of dimensionality without any need for gradients or eccentrics extras. The aged paper definitely helps a bit to give it a rustic throw back vibe. I’m actually not sure what info I’m getting from these posters but these would make great wall pieces! 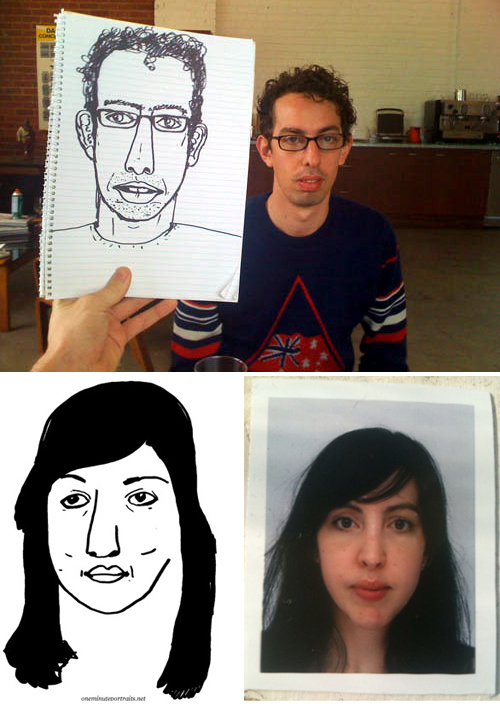 Melbourne based graphic artist Benjamin Hammond offers some fun, original, fast 1 minute portraits on his new website OneMinutePortraits ! Yup, 1 quick minute! You submit a picture, he post a picture of what he did in 1 minute, and you decided if you want to buy it for $20 which includes shipping! I have to admit that sometimes the quick drawings have more personality and jazz than the longer ones… It’s somewhat like an elevator pitch.. where you just get to the point and do the obvious., or the twitter of portrait making…your self-portrait in less than 60 seconds! This does take me back to the RISD days a bit when one of the lasses was to draw 200 self-portraits in a few days… what a rush! 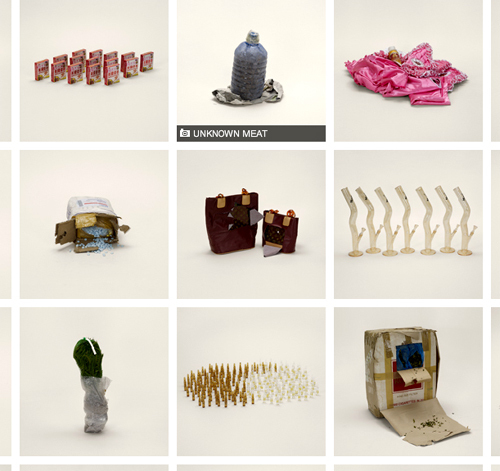 Check out OneMinutPortraits.. and of course see more of Benjamin’s work here…and let me know if you try this out! A few weeks back I met up with Dan Ariely of Predictably Irrational who just launched his new book the Upside of Irrationality. Though I have not read the new publication Dan gave me insight on the Online Dating world and how broken it is. Anyhow, I stumbled upon this great 30+ minute video of him talking a bit more in depth about Online Dating and bits on his new book. View it above or on BB.